Boston's Chinatown started on Harrison Avenue around 1880 to serve as the center for the Chinese in the Greater Boston area. 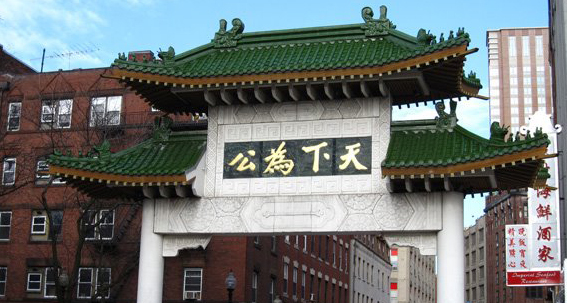 Today, Chinatown has evolved into an active residential neighborhood and a vital commercial and services center for Greater Boston. Professor Tunney Lee was born in Taishan, Guangdong, China; grew up in Boston’s Chinatown; and attended the Quincy School and Boston Latin. He graduated with a B.Arch from the University of Michigan and was a Fulbright Fellow at the University of Rome. He is retired from MIT’s Department of Urban Studies and Planning and the Department of Architecture at the Chinese University of Hong Kong. This program is part of the Boston Public Library’s Building Boston initiative, a citywide celebration of Boston’s public spaces.